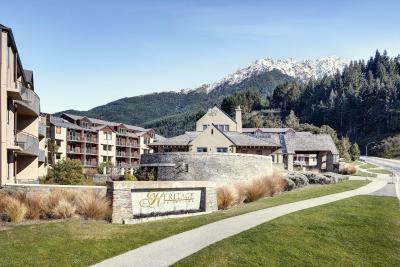 Boasting stunning views over Lake Wakatipu and Queenstown, this friendly hotel is located just outside the lively town centre. It features a heated indoor/outdoor swimming pool and an elegant restaurant. Guests enjoy 1GB of free WiFi per night. Millennium Hotel Queenstown is located in central Queenstown. The hotel is a short walk to the local shopping and entertainment areas. It offers spacious, elegant rooms featuring marble bathrooms. Sherwood is an eco-friendly hotel with an on-site restaurant and bar. The property is set on a hillside overlooking the picturesque Lake Wakatipu and the Remarkables Mountain Range. 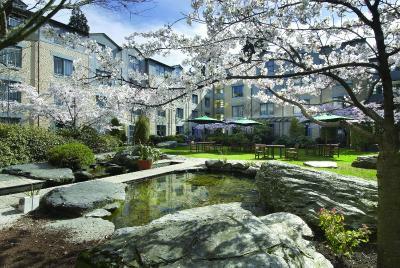 Heartland Hotel Queenstown is located in central Queenstown, a short walk from town. 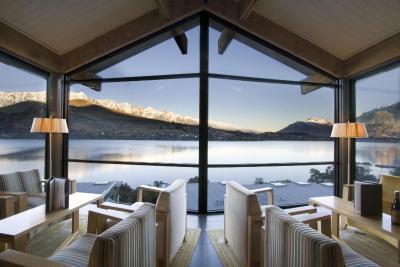 It offers panoramic views over Lake Wakatipu to the mountains. There is free parking and guests enjoy complimentary WiFi.